As I come to the end of my second year at seminary, those above are what are on my mind: Greeks do not care about Greek Orthodox Christianity. They will marry outside the Church, stay out late at cultural events and miss Liturgy the next day. I wonder about these things as I study to be a priest. God didn’t call me to be a cultural curator, he called me to shepherd His flock. So why is this on my mind? Well, I found out today that 12 teenagers have pulled out of my parish’s Oratorical Festival. With a week to go. And Sunday School attendance is so low that it has been requested to shut down Sunday School for the older kids. This is spitting in the face to the volunteers, the donators, and the Church. religous education isn’t important? The sad irony is that Oratory and Rhetoric are genuinely deeply embedded in authentic Greek culture—Christian and pagan. So just what culture it is now that Greeks have chosen over the culture and Faith of our ancestors I do not know, but it sure seems to be a type of secular Græco-American “functional atheism,” to borrow that last part from my Spiritual Father. It truly breaks my heart and makes me question where I am called to serve. I believe in the living Faith of Christ, not a museum display cultural daycare centre. I just don’t understand lukewarmness—especially when it is that state which Christ says will cause Him to spit us out (Apocalypse 3:16), and especially in a Faith where our ancestors in the relatively recent past died for their Faith and fought for their freedom. To end this and thus say goodnight, I say to those who would object, who would say with their words this that and the other thing; I say your actions betray your mouth. Further, the crestfallen state of the lukewarmness of Greek Orthodox Christians is intensely absurd in light of the words of Scripture, “οὐκ ἔνι Ἰουδαῖος οὐδὲ Ἕλλην, οὐκ ἔνι δοῦλος οὐδὲ ἐλεύθερος, οὐκ ἔνι ἄρσεν καὶ θῆλυ· πάντες γὰρ ὑμεῖς εἷς ἐστε ἐν Χριστῷ Ἰησοῦ (Galatians 3:28).” But to know this one would actually have to read Scripture. We are dealing with people who have time to write nonsense for social media and essays for private Catholic schools but don’t know our Symbol of Faith in Greek nor English and have no time for the Church. We all pick our masters, and as Christ says, “Οὐδεὶς δύναται δυσὶ κυρίοις δουλεύειν· ἢ γὰρ τὸν ἕνα μισήσει καὶ τὸν ἕτερον ἀγαπήσει, ἢ ἑνὸς ἀνθέξεται καὶ τοῦ ἑτέρου καταφρονήσει. οὐ δύνασθε Θεῷ δουλεύειν καὶ μαμωνᾷ” (Matthew 6:24). “James: A Commentary on the Greek Text.” By William C. Varner. Fontes Press, 2017, 423 pp. ISBN: 1-948048-01-9, $22.90 on Amazon.ca. There were many reasons why I wanted to read and review this book. Obviously, those that know me know that I’ve become a nerd over Ancient Greek. That is one reason. The other is that among Orthodox Christians—and ironically among Greek Orthodox Christians—the Biblical, Patristic, and original Liturgical languages are given very little thought. In fact, when they are it is in order to move away from them toward the vernacular or something similar; and so anything written about Greek interests me immensely. The reasons for the general lack of interest in original languages are tied to our rich Orthodox history of bringing the Scriptures and Liturgy to the people in their own native tongue. Also, we don’t subscribe to verbal plenary inspiration—which is also why textual criticism is almost non-existent within and among us Orthodox. Well, that and the Orthodox φρόνημα and Tradition contain views such as Origen’s that all the variants were/are inspired, and the idea of the great Slavophile lay-theologian Aleksei Khomyakov’s that everything the (Orthodox) Church writes is Scripture. One of the difficulties in reviewing a book by a non-Orthodox author is that it must be taken on its own merits and not measured against an Orthodox standard to which it was never written to be measured against, or as I believe Fr. Andrew Stephen Damick wrote somewhere: the Orthodox Church doesn’t theologize outside of Her bounds. With that in mind I proceed, and for those reading this, I am attempting to write from the stance of an Orthodox Christian who loves Greek writing to other Orthodox Christians who love Greek too. William Varner’s James: A Commentary on the Greek Text is a serious piece of work; he subscribes to Porter’s view on “verbal aspect,” and in his recent appearance on Exegetical Tools, he says it is intended for those who are at least second-year Greek students. At 442 pages, it is much, much longer than the actual text it is commentating on, which can be to its detriment. It is easy to lose track of the verse in question and end up deep in a textual discussion related only to a section (or just one word) of the verse being commented upon. For comparison, The Epistle of Saint James: A Commentary by Archbishop Dimitri Royster (whose relics have been found to be incorrupt, but not officially declared as such) is 152 pages in length. On page xv, we are told that it is a reworking of an earlier book, and while reading this book, it came to my attention that Evangelical academia has had a few issues with plagiarism as of late. And it was via the Facebook Nerdy Language Majors group that I discovered that unfortunately Varner’s original book of which this is a reworking of was one of them. I am not in any level of academia to be saying anything about those issues, but as a student myself plagiarism is always something on my mind and even more so now when I can see that even at the highest level it can occur, at least hopefully, accidentally. I didn’t want to mention this topic, but there were at least two areas in the present work where proper attestation was probably accidentally missed. A footnote appears to be missing sourcing Metzger’s Commentary on verse 1:19, and on page 325 a footnote sourcing Patrick J. Hartin’s commentary on James in the Sacra Pagina series appears to be missing. Not a missing citations per se, but rather that there possibly should be citations; to clarify my point: on pp. 99-100, when I read that I thought I had read it before, and to me, it appears to come nearly verbatim from Metzger. Socrates: And do you know how to escape out of your present state …? Alcibiades: I agree … (Plato, Alc. 1:135d [Jowett]; see also Plato, Phaed. 80d). Could be a forgotten citation, could be different researchers independently arriving at the same conclusions, could be plagiarism. I don’t know, I just know that to me they appear too similar and make me more cautious with my own writing. 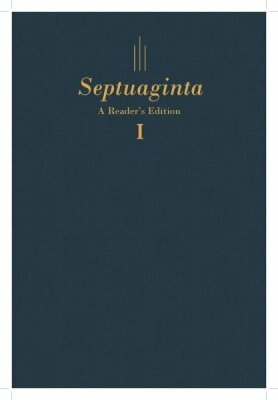 To be fair, typing those sections into Grammarly and turning on plagiarism detection yields nothing, and Metzger’s Commentary is listed in the Bibliography; however, Hartin’s Sacra Pagina volume is not, but other writings of his are. Again, staying away from critiquing theological issues, it is pertinent to note that this book takes positions on St. James and the Theotokos which are incompatible with Orthodox Christianity. However, a point that is of concern for Orthodox Christians that I will comment on is Varner’s view that the Majority Text and the Byzantine Text are “basically synonymous.” I would say that he is basically correct, but that at higher levels of Greek scholarship the distinction between the Byzantine and Majority Texts should be stated and that they should be referred to as separate (a mistake even The Center for the Study and Preservation of the Majority Text makes, in my opinion). I maintain this view despite what the editors of The Orthodox Study Bible with its NKJV English and Majority Text Greek say. Furthermore, it is disappointing that the Robinson-Pierpont 2005 Byzantine Textform, the Hodges-Farstad 1985 Majority Text, the Patriarchal Text of 1904/1912 are not mentioned in the Bibliography. So one can only assume when Varner refers to the Byzantine and Majority Texts he is referring to 𝔐 as found in NA27, which follows the change NA26 made from NA25, as NA28 (at least in the Catholic Epistles) has brought back a wider variety of symbols regarding the Byzantine and Majority Texts. (It must be noted that as I write this I am in Niverville, Manitoba and I only have with me NA26 and NA28; my copies of NA25 and NA27 are in Toronto, Ontario in my dorm room. I will be back in Toronto on Saturday to correct any mistakes I may have made regarding these symbols and to what they are referring.) Tangent to this is that many times his preference for the Alexandrian Text comes through at the expense of assuming certain things about Byzantine scribal practices as well as their knowledge of Greek grammar and syntax (pp. 273 & 306). What is great about this book, for me, is that he utilizes the THGNT, he mentions the Orthodox order of the Catholic Epistles in the Πραξαπόστολος on p. 34 (which ironically all printed Orthodox Bibles I’ve seen in Koine Greek, Katharevousa, Modern Greek, and English no longer follow), refers to oral recitation (pp. 106, 318, 324), refers to the ancient pronunciation (p. 225) in a manner Orthodox would agree with, and throughout the whole commentary he makes numerous references to Homer, Plato, Aristotle, the LXX (however, contrary to pp. 379-380, 2 Maccabees is cononical, at least in Orthodox Christianity), Philo, Josephus, the Apostolic Fathers, Epictetus, and St. Bede. For these reasons, I would recommend all second-year Greek students who are genuine Koine Greek nerds buy this book, and I would add further that I truly feel this book would be much better as a book in Accordance or Verbum/Logos/Noet, it would open up a lot of the references for more in-depth personal study. But I must close by relaying that by far my biggest problem with the book is pretty much the same problem I have with modern Koine Greek pedagogy in general. The book relies far too much on English translations of Greek texts for discussion of Greek grammar and syntax and that there is a plethora of quotes from Greek sources are given in translation. In a book titled as a commentary on the Greek text of James, I would expect there would be almost zero English translation. But the fact that English far outweighs the Greek in this book leads me to conclude that this book is better thought of as a commentary on the Epistle of St. James with reference to Greek, rather than as a commentary on the Greek text itself. Disclaimer: Thanks to Todd Scacewater and Fontes Press for this opportunity and for kindly providing me with a review copy of this book. This did not influence the thoughts and opinions expressed in my review.